I’m not a spring chicken anymore. Birthdays come at me with increasing speed. But what motivates me to stay healthy is knowing that to spend time in the hills with my dog I have to be pretty fit. 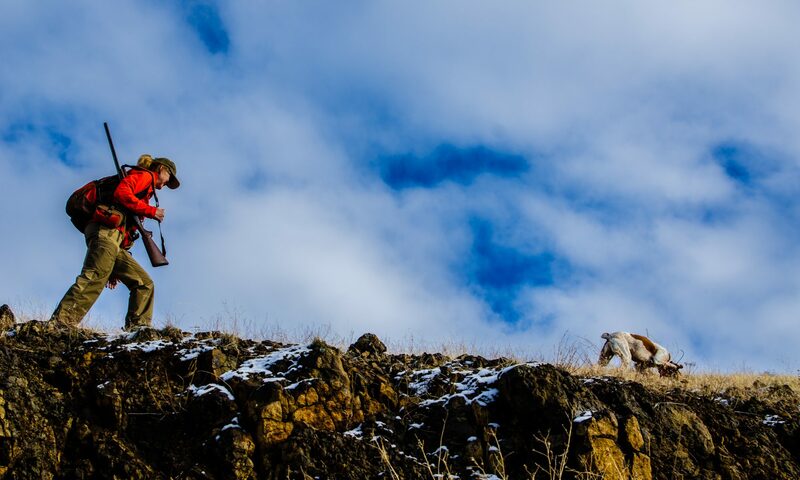 The hills chukar prefer are steep. The steeper the better. The footing is usually terrible or worse. Loose rocks, often hidden by mats of thick medusahead, can trip you or worse. Medusahead is a noxious weed originally introduced as cattle feed, but is now recognized actually to injure the mouths of livestock when they eat the dried plant; tiny barbed seeds (awns) get impaled in their mouths and gums, which can in extreme cases be lethal if not treated. And imagine the impact on your poor hunting dog, getting the awns stuck between toes and in the ears. 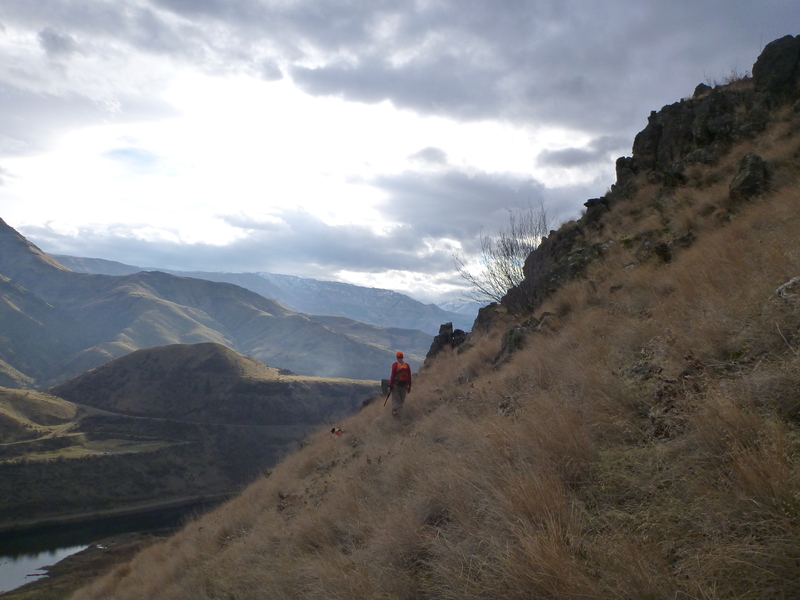 For an off-trail hiker, as all chukar hunters must be, Medusahead makes for a thick carpet of rough, sticky walking which can grab your boots and actually trip you, especially if the matted plant-carpet is covering rocks. Medusahead is different than cheat grass, which is a staple food of chukar, and also a noxious weed. But Medusahead, incredibly, is spreading so rapidly throughout the West that it’s threatening to choke out cheat grass, as well as other native grasses. As if that’s not enough, the unusually high silica content in medusahead makes it the perfect catalyst for explosive and catastrophic rangeland fires. Medusahead is a well-known, highly studied problem and some programs are having an impact on its damaging spread. But it is so widespread that it’s hard to imagine it can be eliminated. What can you do about it? Not much. You can try not to spread it by removing any seeds or stickers from your shoes and clothing after a hike, and keeping your vehicle out of it so you don’t spread the seeds that way. Or you can contribute to programs that are trying to figure out how to manage or eliminate the weed; search for “medusahead abatement” in your state. Most states in the West have such programs. The Idaho State Department of Agriculture has a Noxious Weed Watch List you can consult for more information.